Hanukkah is right around the corner - December 2nd! 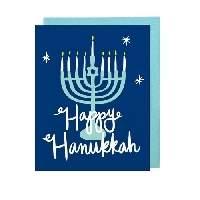 You will send one store-bought or nicely handmade Hanukkah-related card to 2 partners. You can include a flat surprise, but it is not required. 4.95 or higher. No flakers and no recent unexplained 1s or 3s. I will be checking all profiles before assigning partners. :) Please notify me of issues. I will angel this swap if necessary, but only after you've rated your partner a 1. In a perfect world, it won't be necessary. I'll happily answer any questions. There is a regional version of this swap for the United States as well. Changed the signup date from November 19 to November 18.